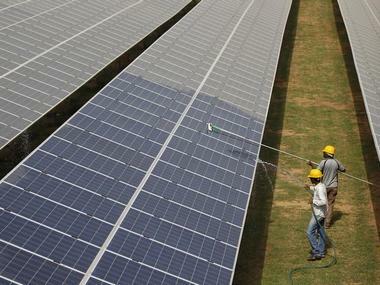 Gujarat is once again poised to set a record in terms of solar installations. The state which once trailblazed solar energy growth in India has now moved down in ranking owing to massive jumps made by the Indian states of Rajasthan, Andhra Pradesh and Tamil Nadu. The state has now announced building a 5 GW Solar park in the special economic one of Dholera which is close to 80 km from the capital Ahmedabad. Once built the Dholera Solar Park will be the largest project not only in India but also in the world. A 200 MW wind park will also be built nearby. The park is estimated to cost about INR 25,000 crores, and will create employment opportunities for about 20, 000 people. These large plants will be best positioned to take advantage of the large gigawatt-sized solar tenders in India. They will not only go a long way to help address the power conditions but will also help in achieving India’s solar target and ‘Make in India’ dream. The site is best suited for the construction of the plant as it receives ample amount of sunlight and has sufficient land availability. Since the plant will be built on a special economic zone, there will be no need for free land acquisition. The Dholera Solar park has caught the attention of a large number of solar developers and manufacturers. The developers will be selected through bidding as per the guidelines of the government. Land and infrastructure will be provided to manufacturers who are interested in manufacturing solar cells, panels, storage units. smart grid solutions etc. The power generated by the plant could be also used to power Smart City Dholera SIR, which is the first smart city of India. Dholera is the first city in India, and probably in the world, to receive Platinum rating. Gujarat, a power surplus state, is currently facing a power crisis amidst Mundra thermal power plants woes. The coal plants are suffering from underutilization and low tariffs, amid increasing cost of imported coal. The state is now depending on central sources for power as its own power production is not sufficient to meet demand. In such crisis situation, this power plant comes as a sign of relief to the sun-scorched lands of Gujarat.